The Ngarrindjeri people have been asked by the South Australian Government for a clearer idea of what they see as the legal consequences for SA from what is known as the Letters Patent of 1836. ANTAR SA provides a number of links to this issue. What does it mean? The consequences of this. Let's keep watching. This week's news cycle (at least in Queensland and New South Wales) has been filled with the Andrew Johns racism saga. It is alleged that Andrew Johns, the assistant coach of the New South Wales State of Origin team, told a player that he needed to stop Greg Inglis (from the Queensland team) by saying he needed to "stop that black c***" as well as other offensive remarks about Tongan-Australian player Israel Folau. It ended when Timana Tahu angrily left the training session and ultimately the State of Origin team for 2010, offended and disgusted (and rightly so) at the language and the racism behind it. As an Australian who has witnessed and experienced racism, reading & listening to the commentary is frustrating to say the least. But listening to Dr Chris Sarra from the Stronger Smart Institute today, it became clearer to me why I am/was so frustrated. It wasn't just because the commentators disagreed with me, or didn't share my point of view. It wasn't just because those in charge were silent on the issue (ie, NRL headquarters), or too quickly forgiving (ie. Channel 9). What it is that makes this topic so frustrating, is as Chris Sarra points out, because most Australian commentators (professional & armchair) are unable/unwilling/un-skilled to have this type of conversation, ie the conversation about race and racism. But we need to be able to have this conversation. Earlier this year, nearly every Murri I knew headed down to the Gold Coast for the NRL All Stars vs Indigenous DreamTime team. People were absolutely busting with pride. If you weren't at the game you were watching it! As Preston Campbell has said, what was the game for, if wonderful young men like Timana Tahu feel unsafe and excluded. We have to learn to have the conversation about race & racism. And this isn't just about cleaning out the racist-potty-mouths of people like Andrew Johns and Mal Brown. Its about getting square with the idea that the Australian "way of life" is founded on racism - the racism that led to the British Government declaring the continent terra nullius, which made way its colonisation and all the pain and suffering that colonisation brings with it. Discussions around racism do NOT have to end in tears and finger pointing - though sometimes they do. Racism - overt/covert, externalised/internalised, systemic/hidden - prevent our classrooms from becoming safe, engaged, innovative, creative, free, and empowering places of learning. Racism in all its forms inhibits a student's self-expression and their learning. Do you know how to have the conversation about racism? No? Then take the time to learn it. Read, Think, Engage. Don't be afraid. Be daring. Be bold. Be humble. Listen. Popped into Our Lady of Mount Carmel school yesterday at Waterloo, Sydney and spied Part 1 of the Indigenous Australians Educational supplement from the Sydney Morning Herald. Looked pretty deadly too. The Sydney Morning Herald have also provided a number of online resources for teachers. Click here to access them. Have contacted SMH to see if they'll be digitising the supplements and making them available online for teachers in the future. Will let you know what happens. The Indigenous Studies Research Network at Queensland University of Technology publish the International Journal of Critical Indigenous Studies. With authors from around the world, this resources is a must for your own professional development. All issues are currently available free as downloadable pdf. Ever since Captain James Cook's declaration of possession in 1770, Aboriginal and Torres Strait Islander Peoples have fought against the dispossession of their lands, food sources, waterways, families and homelands. A Google map of Sydney's engravings. 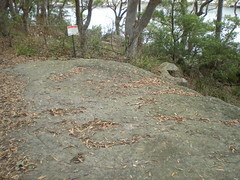 I was lucky enough to visit to sets of engravings earlier this year - one set at Berra Hill and the other at Bondi beach. Like my Aboriginal Place Names of Brisbane, this new map is a great resource for teachers as well as hopefully an inspiration to other folks out there to document their knowledge using Google Maps. Have you got any ideas about creating a Google map?